the pink clutch ...: Beach countdown ... 34 days!!!!! Little Lawyer who vacationed without us ... he went to West Palm Beach with my SIL and her family. He had a blast, but we missed him terribly! 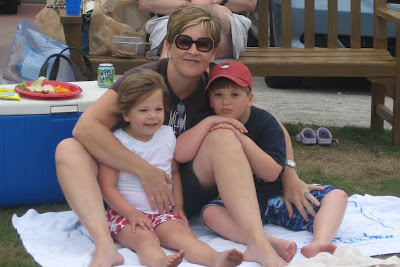 A picnic in Seaside with my babies ... they are cute, aren't they? 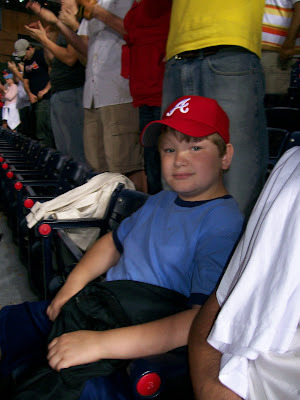 Little Mister turned 7 on the trip. 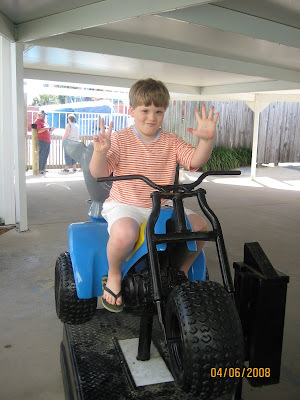 Seriously ... he's seven? 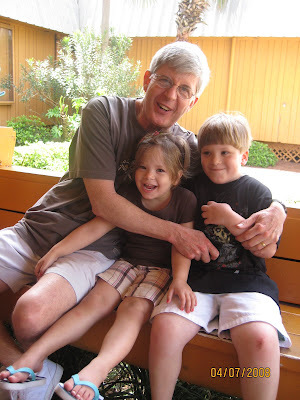 My dad and the kids at the playground. They played here while Mom and I shopped at the Outlets. Kind of a great set up ... a playground at the Outlet Mall!! Babycakes after a long, hard day. She fell asleep with her sippy cup still in her mouth. And it happened almost every night! 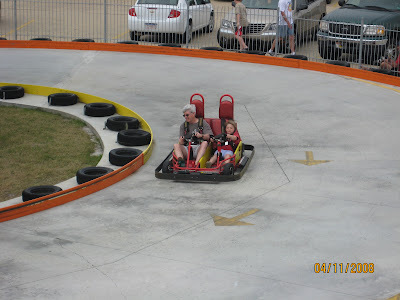 The race cars at the Fun Park. This place was tons of fun. I felt just like a kid again!! 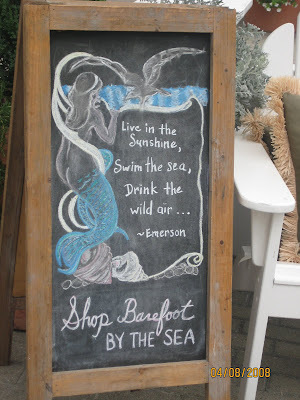 A sign at Seaside ... it was the perfect quote!!! 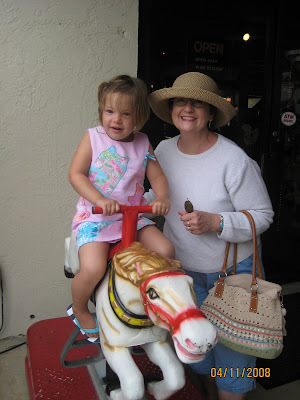 My mom and Babycakes!!! She was too short for lot of the rides at the Fun Park! My favorite thing ... watching the kids at the beach! As a kid this is where Mom and I spent all day every Saturday. It is still in my blood!! 34 more days ... time to start packing!!! And I am not even kidding! Great pics! Yet, I am jealous! However, only 48 more days till I leave for Fort Myers Florida! woohoo! Love your beach pictures! Me and The Hubs are headed to the beach this week for the Memorial Day Weekend. I can't wait! Your pictures made me want to go even more. I always enjoy stopping by your blog and checking things out. Keep up the great work. How sweet...and what fun! 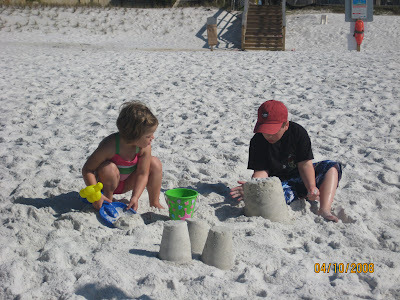 We've vacation in Seaside/Seagrove every June and I'm counting the days, too. 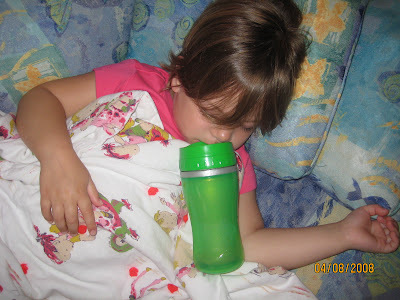 I love the photo of your little girl sleeping with the sippy cup. That sun and sand takes it right outta ya! Love, love, love Seaside! Darling kids. My college boyfriend called me Babycakes!